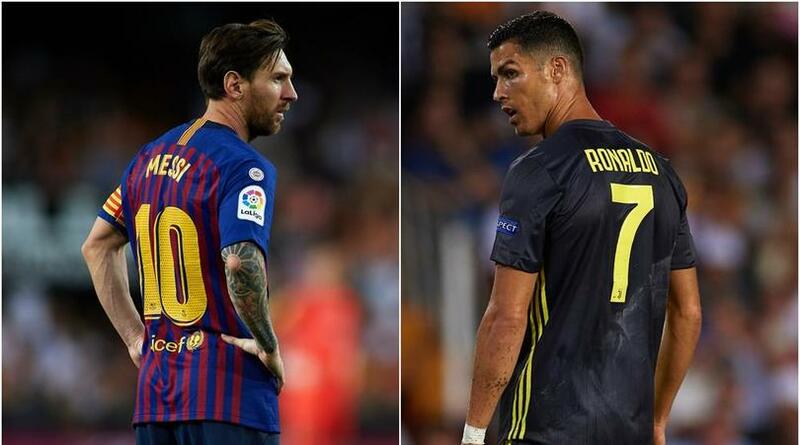 Manchester City coach Pep Guardiola believes the football world is witnessing an era of ‘two phenomena’ with the exploits of Lionel Messi and Cristiano Ronaldo. Over the last 10 years, Ronaldo and Messi have hogged the plaudits and they are still going strong despite entering their thirties. Every Ballon d’Or award since Kaka won it in 2007 has been taken home by either Ronaldo or Messi, with the two tied on five each. Guardiola knows what Messi is like to coach first-hand from his time at Barcelona and he believes his personality rubs off on team-mates, adding that he and Juventus star Ronaldo are a cut above everyone else. ‘Leo is a competitive, fierce animal,’ he told reporters at Festival dello Sport. ‘That helps others to be competitive. He hates to lose and plays like when he was a kid. In big matches, if the team helps him, he makes the difference. ‘Together with Cristiano [Ronaldo] we have lived and are living an era of two phenomena.